At Kleer Cold Room Hire we have cold rooms and freezer rooms available for short or long-term hire, as well as for purchase. We also have mobile cold rooms available for your convenience. The other branch of our business, Kleer Ice Supplies, is fully stocked with ice supplies for any event, function or business need. You can check out all of our products below. 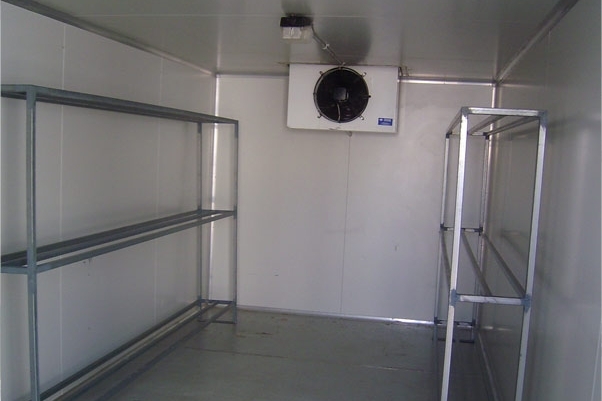 Our fleet of mobile cold rooms and freezer rooms are perfect for short-term cooling solutions, and with our flexible hiring options, you can use them for as little or as long as you need. Whatever your cooling needs, we have the solution for you! If you need a long-term refrigeration solution we have a wide range of cold rooms and freezer rooms that can be hired or purchased outright, and we can provide you with the most cost-effective storage solution for your business. Kleer Ice Supplies is the first choice for major events, businesses and weddings throughout Queensland. With a range of ice supplies, we have a solution for all of your cooling needs. Kleer Cold Room Hire has over 30 years of experience in the industry, and we are a family owned Queensland business that loves to support other local business and events. We are dedicated to providing our customers with the very best option for their business or event and we have fine-tuned our business so you get the best and most affordable solution - every time! We are your go-to specialists for all of your cooling needs, from long- or short-term hire of cold or freezer rooms, to the supply of ice and ice machines.